For some time when scanning certain activities or provide certain technology devices just smart tag, as in the case of smartphones. After smart shopping, smart watches and many more things, not the? fishing smart? 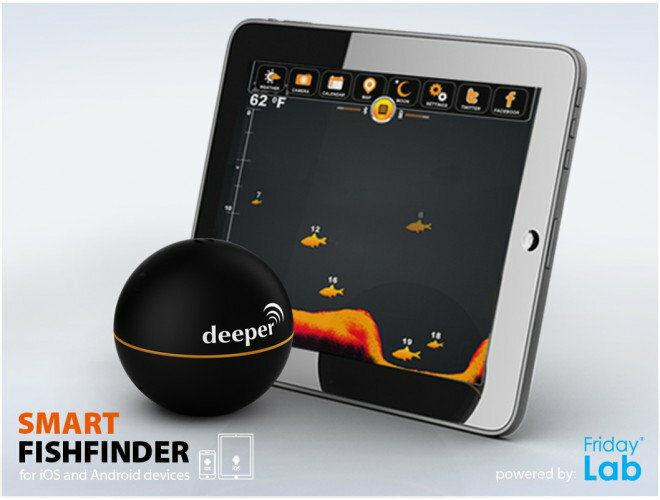 That the creators of Deeper thought a small sonar which in conjunction with the smartphone makes that we can monitor and record the days of fishing. 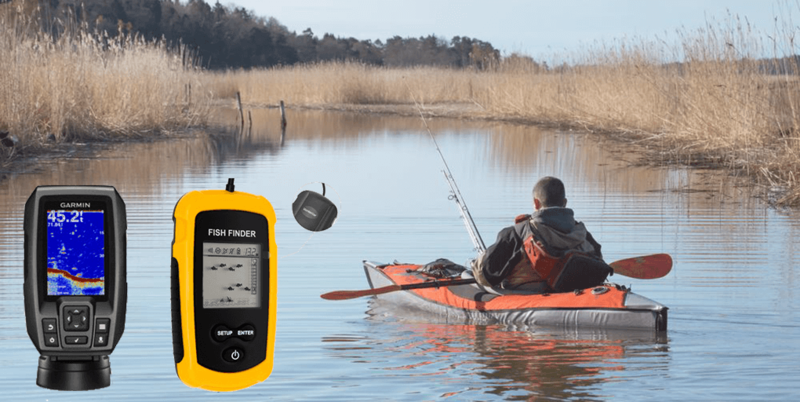 It is so that fishermen can make use of this device without having to resort to traditional sonar but may have a similar aid to its outlets, and there is where the smartphone, will monitor where shown that Deeper track. 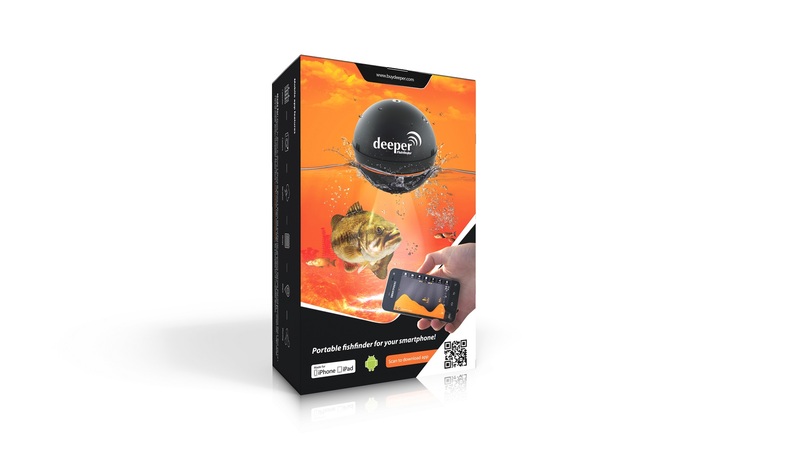 It is focused both for the professional and amateur fisherman, It is a basic technology but allows that this has more information of the environment that surrounds him in every moment of their fisheries. 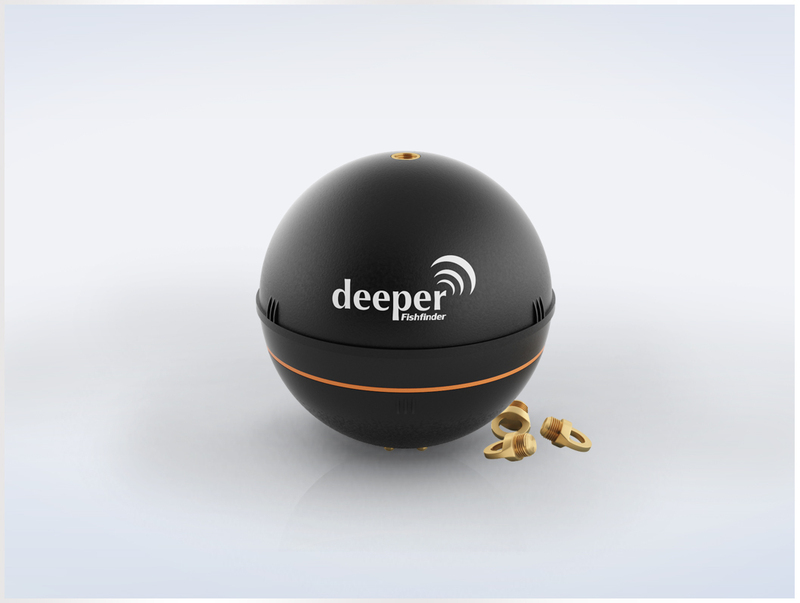 The spherical sensor is designed to operate at depths from 0,5 up to 40 meters. 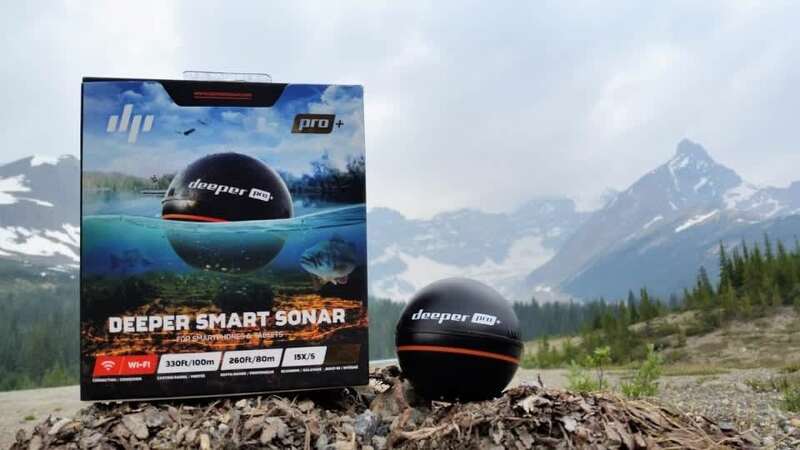 It is basically throw it with the line so that it is floating and track area, and at all times see the Smartphone (that will have to be iOS or Android) what detect sensors in terms of presence of fish, vegetation as well as fluctuations in temperature (rather than help the fisherman to calculate how to proceed). 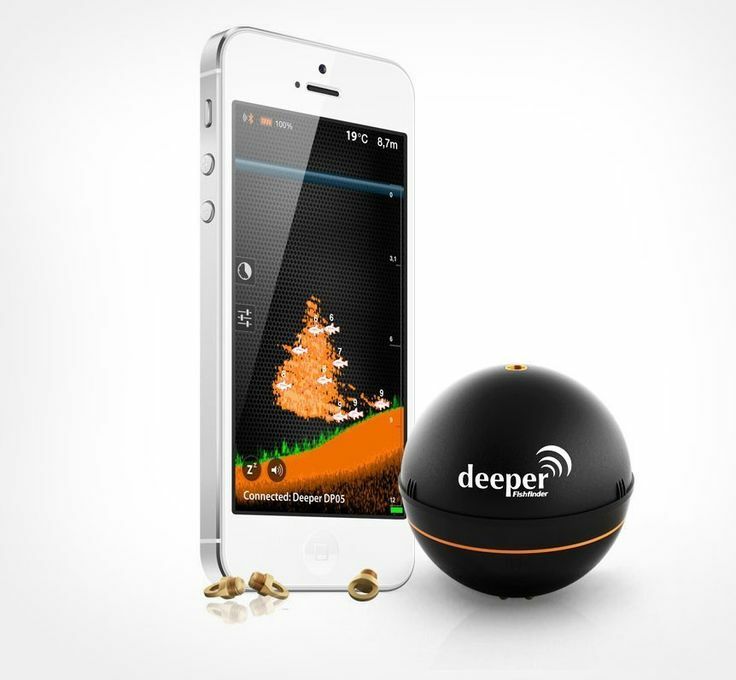 Apart from portability involving its size and which connect by bluetooth to the mobile, it is quite smaller than a typical sonar. 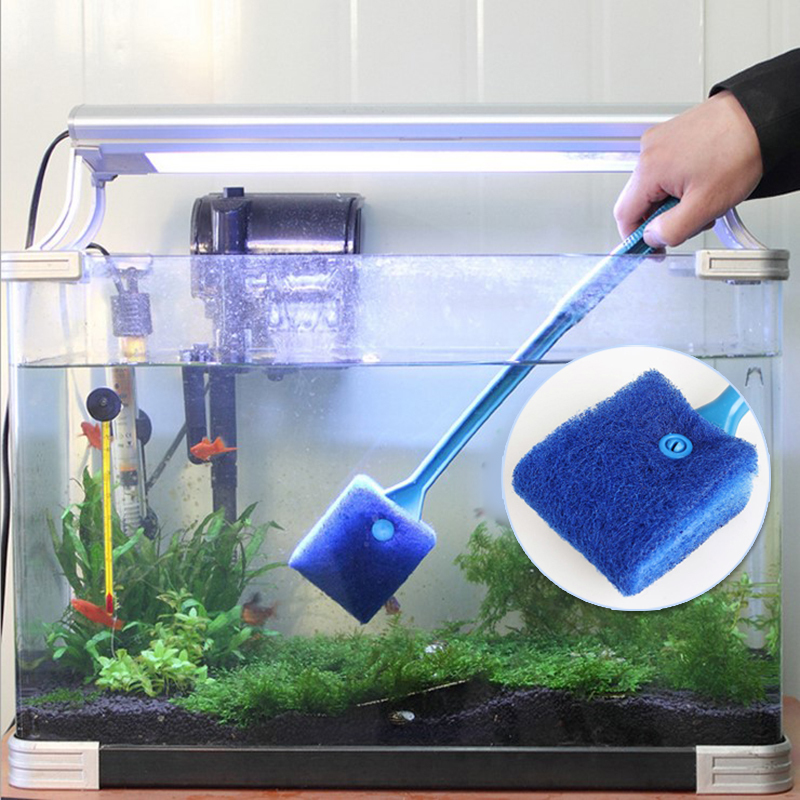 It is a sphere with a diameter of 65 mm) and 100 grams of weight which can be operated both salt water and fresh water. In the demo video we see that he supports low temperatures may be used in areas with ice. 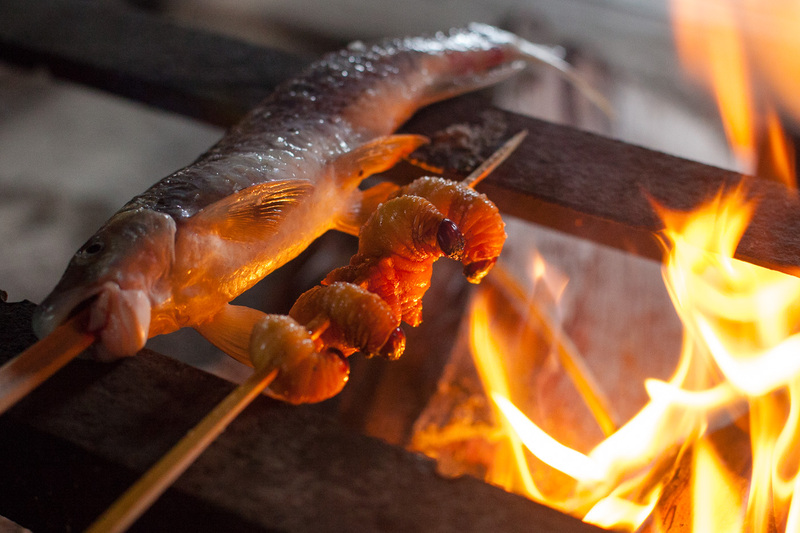 The app is a basic use point since it shows both the presence of fish and other organisms. 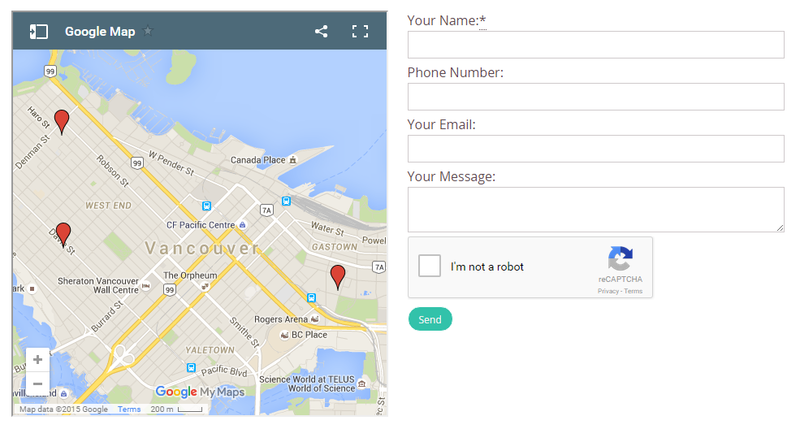 The device can be 45 metres from the smartphone or tablet so that this data become him. 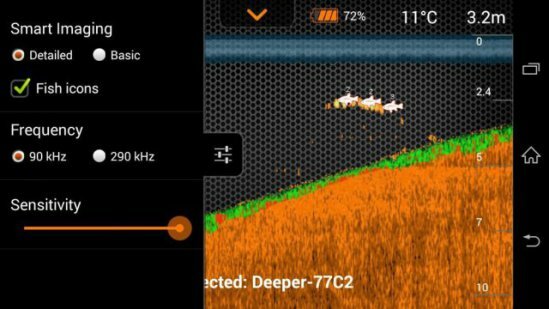 Thus, works with two frequencies (90 kHz and 290 kHz) that allow the detection of fish, bait and structures in a large area or a trace more precise, showing the profile of the Fund and details, whose display you can choose the graph showing the app. It works with technology Smart Imaging According to the manufacturer you can see results pretty clearly despite the simple scanner. And, as it could not be otherwise, where there is mobile social function. 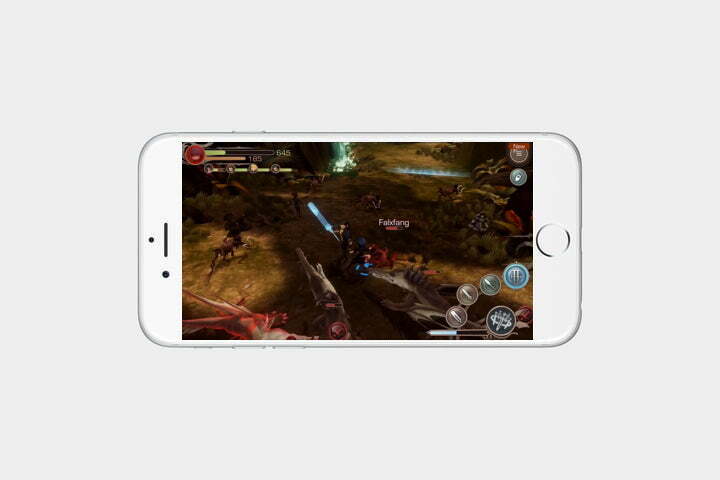 The app also facilitates power share achievements (or whatever you can find) on social networks to capture images and give the option to save them or share them. 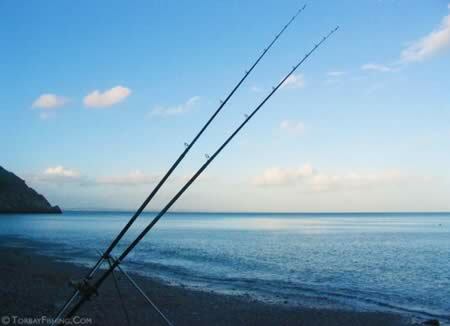 By its size and its cover, it is intended to be used both in static fishing and small boat (even canoes or kayaks). Deeper may be used also by attaching it to the ship via an adaptor as a fixed sonar, without having to launch it every time. But yes, its cost is of 249 EUR, so will compensate in the case that it is an activity that is done on a regular basis. In addition, having to carry the phone would not be more that is induced by a terminal with at least some resistance to water.